AEM offers full service welding shop and the specialized metal stitching. Our fully equipped welding department is capable of performing all types of welding, repair and fabrication including arc welding, sub arc, flux core, TIG, MIG, brazing, Boretech welding along with vibro stress relieving – to help reduce stresses and cracks during and after welding. We can also do selective onsite machining and welding using portable boring, turning, milling and facing machine. 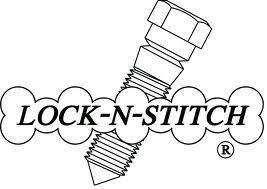 Lock-N-Stitch is a unique process of repairing cracked or broken castings. Unlike welding, Lock-N-Stitch repairs require no heat, therefore there is no warping, distortion or additional stress applied to the casting. The result is a repair which is stronger than the original factory design.